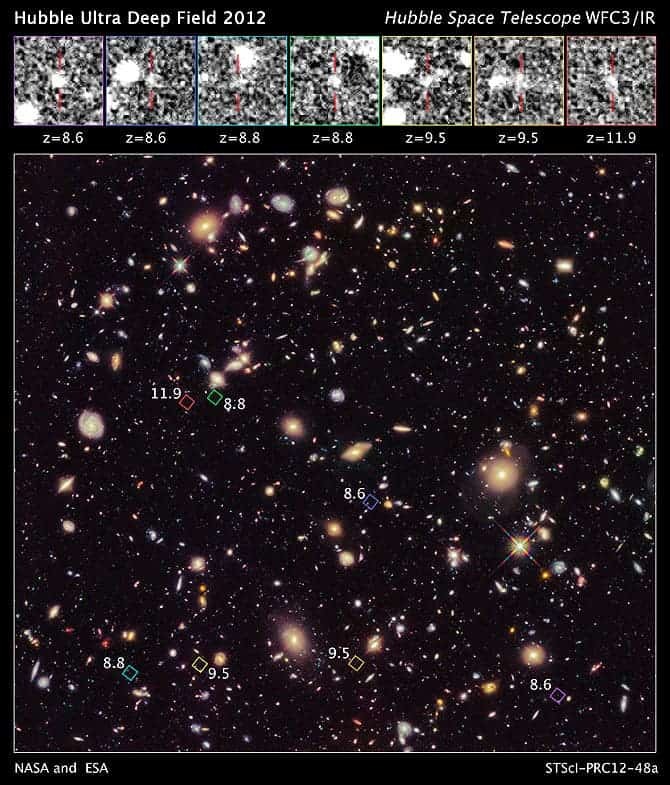 Using the evergreen Hubble telescope, astronomers from NASA have been able to uncover a previously unseen population of ancient galaxies, observed as they appeared only 350 million to 600 million years after the big bang, when the Universe was still in its infancy. Picture taken by Hubble, with redshift for remarkable galaxies; the bigger the redshift, the older the galaxy; 11.9 is the current record holder. The galaxies are located in a patch of the sky called the Ultra Deep Field (UDF). They formed over 13 billion years ago, when the universe was less than 4 percent of its present age, and were intensely studied in a 2012 campaign, called UDF12, by a mixed team of researchers led by Richard Ellis from California Institute of Technology in Pasadena. 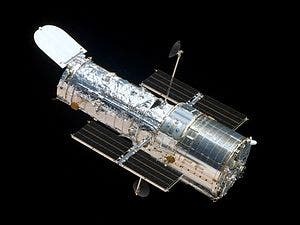 He used Hubble’s Wide Field Camera 3 (WFC 3) to peer deeper into space in near-infrared light than any previous Hubble observation. Their results indicate a smooth decline in the number of galaxies looking back in time to about 450 million years after the big bang, and are consistent with the theory that galaxies assembled continuously over time and also may have provided enough radiation to reheat, or re-ionize the universe a few million years after the big bang. The thing is, when you look further and further into space, you also look further into time; the light of the galaxies, which formed over 13 billion years ago, is arriving to Earth just now. A while ago, I was telling you about how Hubble observed an extremely old galaxy, which appeared 450-500 million years after the big bang. This was a new record at the time, but now, after just 2 months, the record is broken once more: one of these galaxies is believed to have formed 380 million years after the dawn of the Universe. Do you think they can stretch the record even more?